Having grown up playing high level competitive sports, specifically elite level Hockey, Justyn was immersed in athletics and strict training regimens from a young age. After hanging up his skates, Justyn transitioned into coaching hockey teams in the GTA. Having taken his knowledge of training in competitive sports, he transitioned into the fitness industry learning the ins-and-outs of strength training and nutrition. 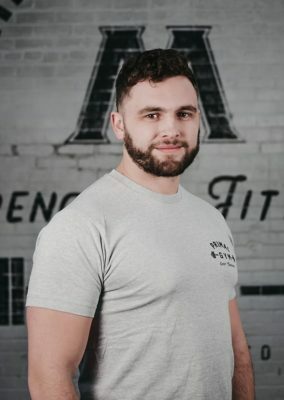 Through years of thorough research and first-hand experience, Justyn has a deep understanding of how nutrition plays a pivotal role in athletic performance, recovery, strength training and bodybuilding. 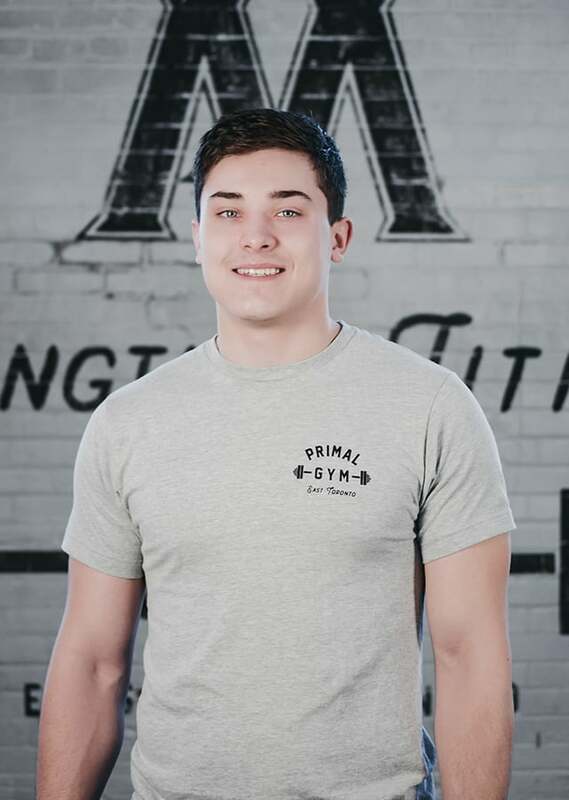 A strong believer that the mind is our most powerful weapon, Justyn continually pushes himself beyond his physical limitations to prove that our bodies are capable of exceeding our own expectations. 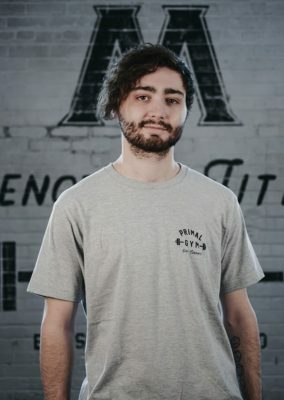 Having dedicated himself to his passion, martial arts, Justyn has competed in Brazilian Jiu Jitsu and Boxing tournaments across Ontario. A loud, fun-spirited, laugh-loving lady. Kalon has been physically active for most of her life: For almost 20 years, Kalon rode horses and was a competitive eventer and show jumper on the provincial circuit for the last 5 years of her equestrian career. When not at the barn, Kalon fed her energetic spirit by joining her high school swim team and became an avid salsa dancer in 2013. Today, Kalon is in full training as a semi-professional hip hop dancer with several international performances under her belt. Though she’s dabbled in other forms of weightlifting (CrossFit, Olympic Lifting, etc.) 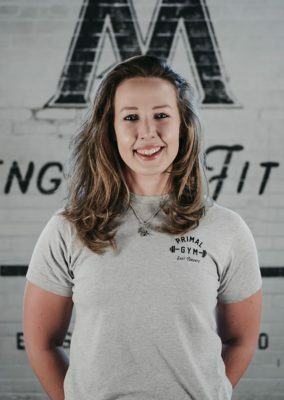 her true passion lies with Powerlifting. She is coached by our very own, Raphael Charles, and is looking to compete in the next couple of years as his athlete. Eventually, Kalon also hopes to fulfill her academic background in education (B.Ed.) and biology (B.A.S.) by attaining her personal training certificate. 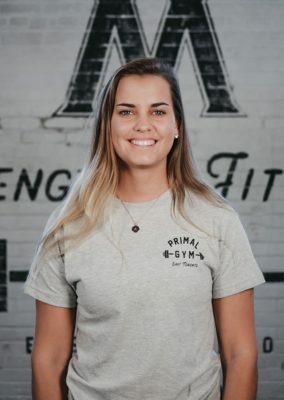 A loud, fun-spirited, laugh-loving lady, Kalon has a clear adoration for all things health and wellness (and Primal!) that you just can’t teach. A versatile trainer and group instructor who helps people with various fitness goals achieve their best. Easton has been active his entire life while focusing primarily on cycling, skiing and rock climbing. 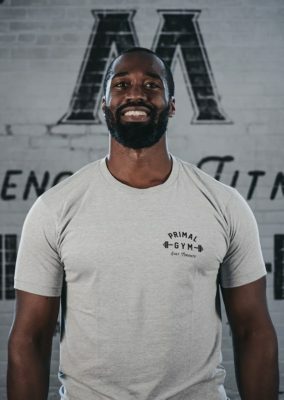 He is a graduate of the George Brown College Fitness & Health Promotion Program, a certified personal trainer through the National Strength and Conditioning Association (NSCA-CPT) as well as a Group Fitness Instructor through the Canadian Fitness Education Services (CFES). He strongly believes in fitness for health and performance. Whether you’re looking for everyday functional strength, sport/activity specific improvements, fat loss, increase in lean body weight or improving overall mobility Easton has the knowledge and skills to put you on the right path. 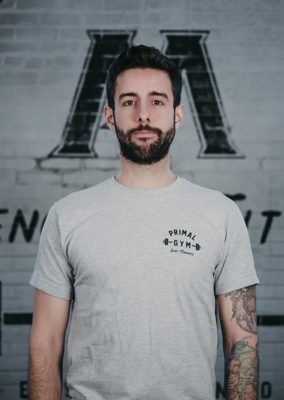 While working with clients he focuses on ensuring a client has a strong foundation to build upon, breaking down and mastering movements into their simplest stages or variations and then progressing from there. By helping you exercise safely and effectively, Easton’s goal is not only to help you achieve your own goals but to also educate and help you gain the knowledge and abilities that will benefit you along the way. Experiences working in a sports medicine clinic, boutique studios as well as fitness testing for the NHL scouting combine. A former competitive athlete in numerous sports including; Hockey, Football and Baseball, fitness has always been a huge part of his lifestyle. Experiences working in a sports medicine clinic, boutique studios as well as fitness testing for the NHL scouting combine over the past five years have equipped Darrel with practical knowledge to deal with a wide variety of clientele ranging from elite athletic training to post rehab and fat loss. A professional trainer, fitness coach, and fascial stretch therapist, who believes Full-body wellness doesn’t have to feel restrictive, isolating, or stressful. 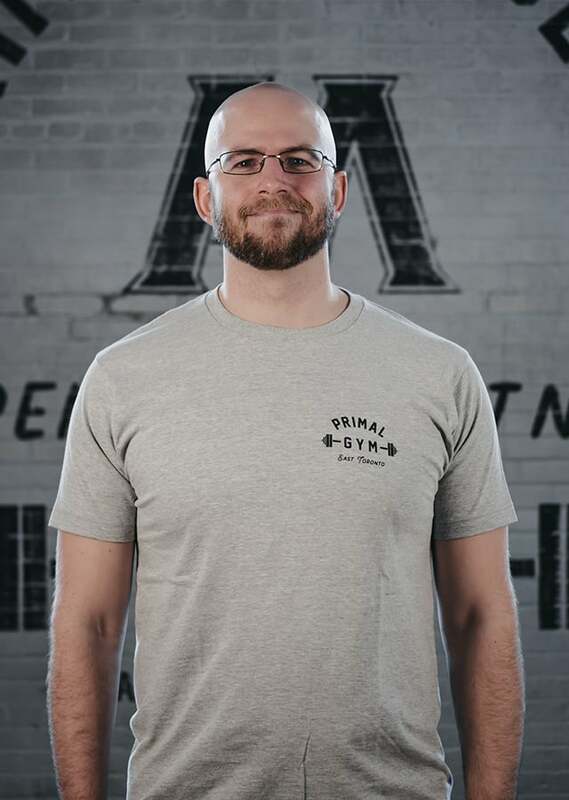 I’m a professional trainer, fitness coach, and fascial stretch therapist. 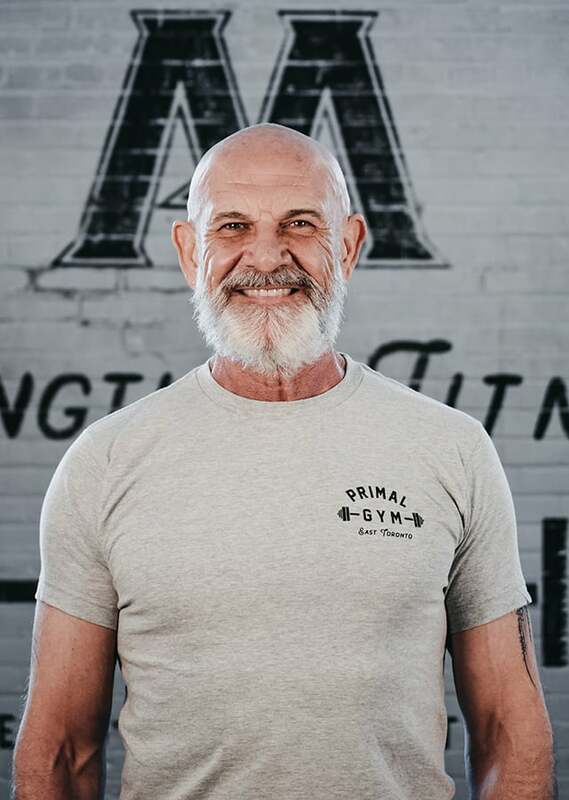 I have years of experience in personal fitness, sports-specific training, Fascial Stretch Therapy and guided weight loss. I believe in customized, full-body fitness. I take the time to get to know you, your history, your goals and your habits, and then design a comprehensive program that works for you. This is not one-size-fits-all training. This is training that fits your body and your schedule. Full-body wellness doesn’t have to feel restrictive, isolating, or stressful. We reach your primary goals while slowly but truly cultivating healthier habits. From sleep to stress management to nutrition, you can feel your absolute best. I want to change how you feel about yourself and your body – and make you the strongest you’ve ever been! 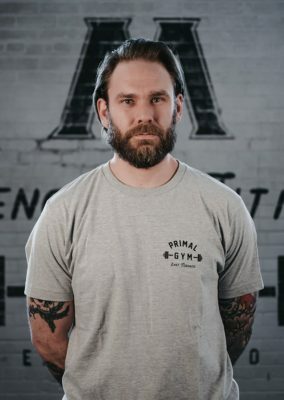 A Certified Strength and Conditioning Specialist with the NSCA and his training methods are geared towards improving overall athleticism, body composition and general fitness. 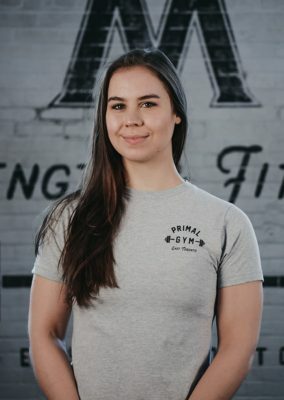 PJ Palacpac is a graduate of the Fitness and Health Promotion Program at George Brown College. 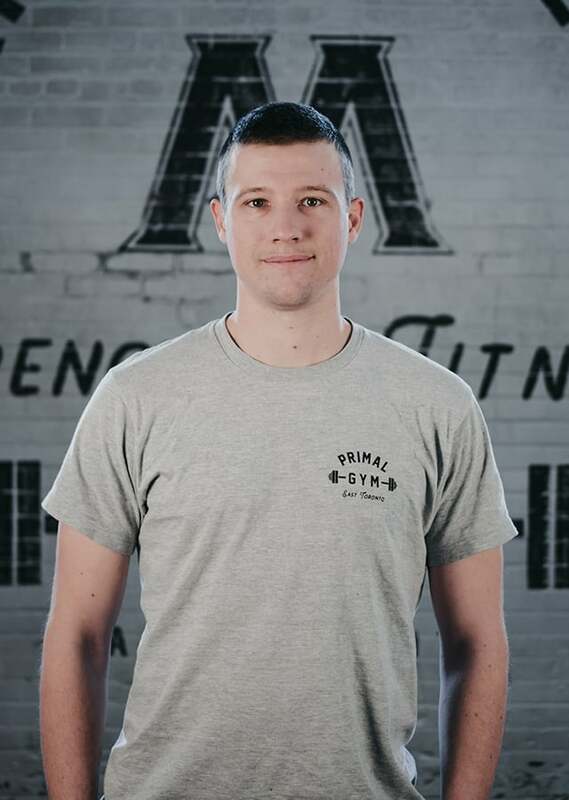 He was able to enhance his knowledge and skills both in Personal Training and Group Exercise Leadership and receive his certificate as a trainer through CFES. PJ’s passion and love for fitness started at a very young age having participated and trained in multiple sports. 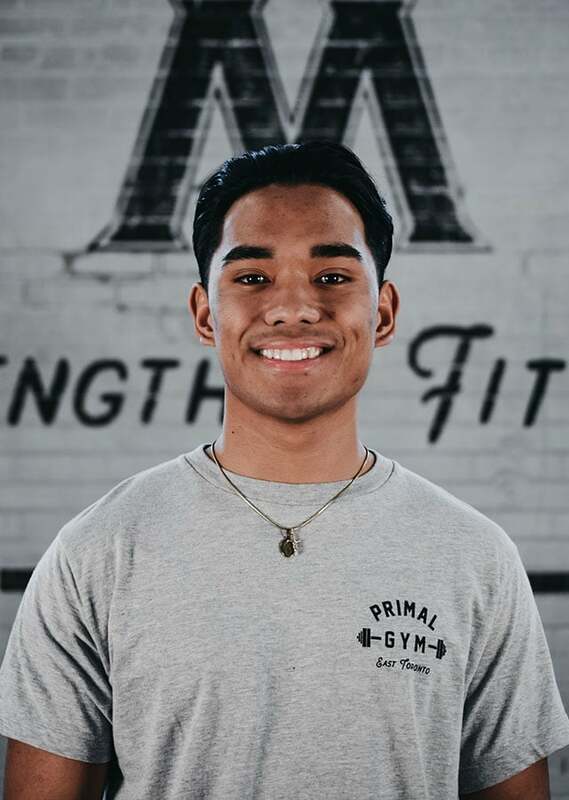 He grew up as an athlete competing mainly in swimming and basketball and that drive has led him into his new passion, calisthenics and movement training. 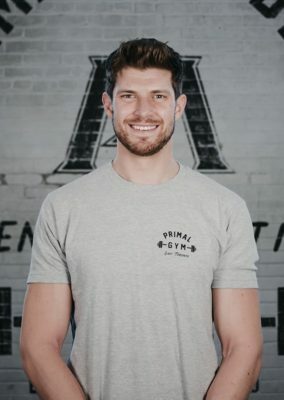 With his knowledge and skills his goal is to help clients attain their fitness goals as well as empower them to live healthier lives. 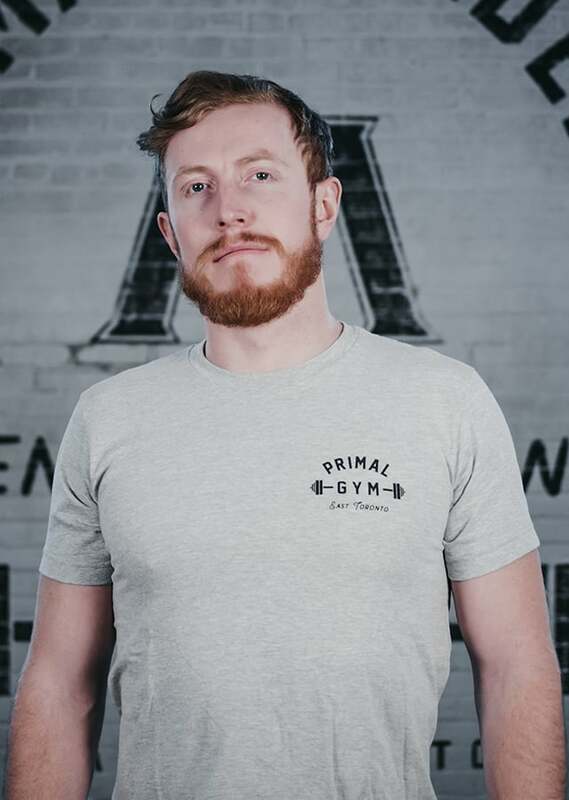 PJ started off as an intern here at Primal and is now honoured to finally become a part of the team. Born and raised in The Bahamas, Adrienne spent the majority of her time outdoors, participating in a variety of sports and activities. At the age of 11, she started to focus solely on tennis and in 2010 won the Girls U14’s National Championship in Bahamas. Wanting to take tennis to the next level, she moved to Florida for High School and attended Nick Saviano’s Tennis Academy. Tennis Honors. 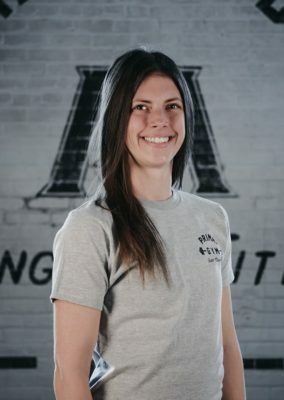 After graduating with a major in Exercise Science and minor in Psychology she worked in a Sports Rehabilitation clinic in Houston. Adrienne now coaches Tennis and Squash in Toronto, where she is looking to get her physical therapy certification. Justin is a professional Dancer/Choreographer, teaching, training and performing across North America. 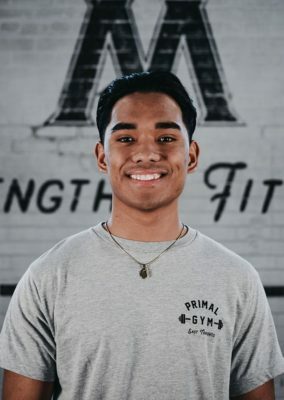 He has been active his whole life, and in high-school he made the switch from sports to dance; a physical medium he would find to be much more intense, challenging and attractive than any training he had endured prior. He strives to keep growing stronger physically, using his inspiration found in the staff, as well as the clientele, at Primal Academy.